Mokau Museum and Gallery is pleased to present this collection of photographs made by Kevin Capon as selected by Carol Te Teira Capon. 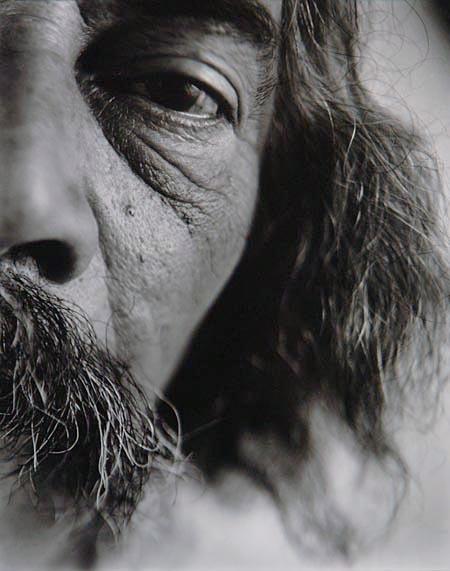 This photographic project was undertaken over the period 1984-85, with funding received from the QEll Arts Council. 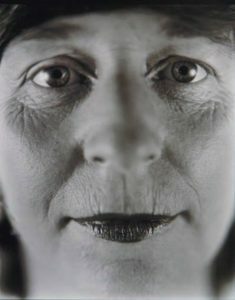 The collection consists of 40 black and white portraits of prominent New Zealanders from within the arts community (of which 26 are shown in this exhibition). It offers a fascinating insight into a particular moment in this country’s cultural heritage and includes images of key figures from the visual arts, architecture, dance, theatre and television. These photographs occupy an interesting position between traditional notions of the portrait and the more contemporary concept of ‘the face’. Traditionally thought of as an object that captures something of the unique character of the sitter, more recent theorizing has repositioned the portrait as a complex site that might be constructed in a number of different ways and which often positions the face as a kind of landscape to be explored. How, then, to reconcile this abstract terrain of the face with the revelation of individual personality? Speaking of these works, Capon articulates his interest in pursuing a “raw simplicity”, or more specifically in exploring how much of an individual’s character can be revealed by showing as little as possible. In this sense, Capon’s images shift between the abstract and the figurative, between pure description and the inscription of identity. There is a certain severity in this descriptive approach. The close-up, tightly cropped images were produced using a 10 x 8 inch large format camera allowing for the most minute details to be recorded, and realised as unique gold and selenium toned gelatin silver contact prints. Each photograph offers an uncompromising rendering of its subject where every crease, pore or imperfection is made visible. This is perhaps most vividly played out in the images of Merata Mita and Eric H McCormick. Many of the images are nonetheless instantly recognisable and give us a glimpse of the inner life of the individual. 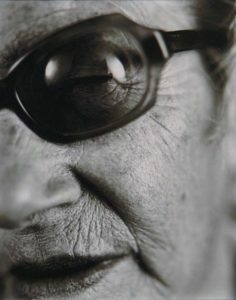 Doris Lusk appears with her trademark dark, rounded glasses. Ralph Hotere is unmistakable with his wild hair and wiry moustache. Other pictures capture a more allusive quality, from the eccentric flair of choreographer Shona Dunlop MacTavish to the intense, straightforward gaze of Elizabeth Smither and the wry glint of Angela D’Audney. Certain photographs have a stilled, otherworldly atmosphere. 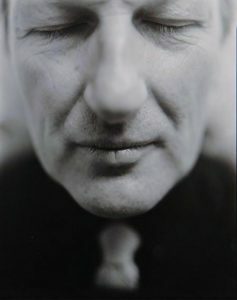 With his expressionless face and closed eyes, Raymond Hawthorne’s portrait has a ghostly feel, taking on the appearance of a postmortem photograph. There is a distant wide-eyed quality in the photograph of Ellie Smith that evokes a sense of the unreal, making her appear more doll-like than human. The image of Colin McCahon is particularly striking, and perhaps somewhat unsettling. In this photograph the heroic figure of New Zealand painting is pictured with downcast eyes as a vulnerable old man. The photo is particularly poignant as it was taken at the request of Anne McCahon, who had previously seen and admired Capon’s work, and is one of the few photographs of McCahon taken during this period of his life. Capon has produced an incisive and aesthetically compelling archive, parts of which are held in both private and public collections throughout New Zealand including the Christchurch Art Gallery and previously exhibited at the Dowse Art Museum in Wellington and The Dunedin Public Art Gallery. To have this collection of photographs at Mokau Museum and Gallery is an absolute privilege only made possible by generous loan from the Te Teira/Capon private collection. Extracts from an article written by Barbara Garrie, 2008, commissioned by Campbell Grant Galleries.